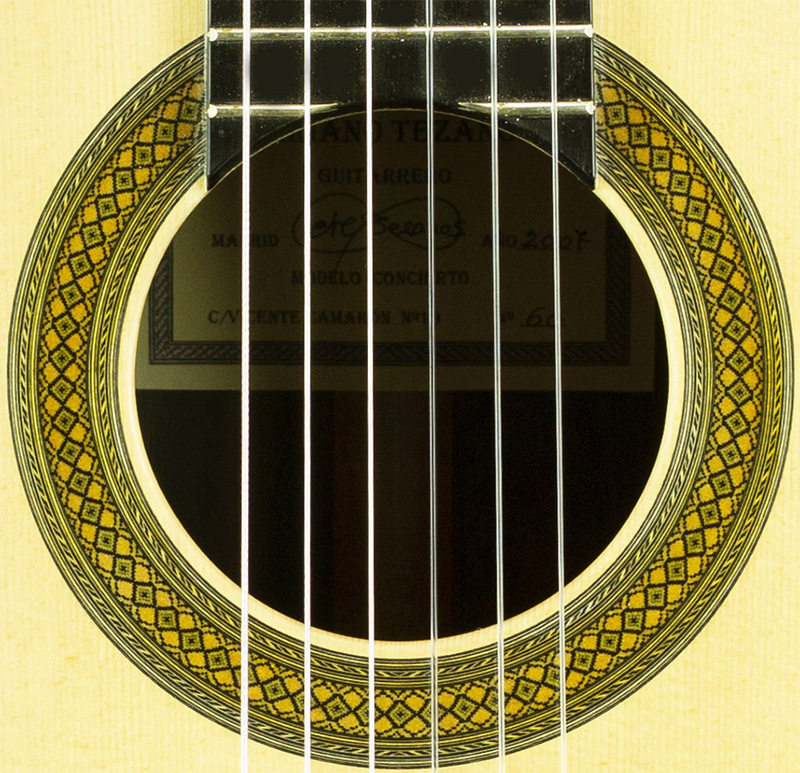 Model: Concierto The name Mariano Tezanos achieved greatness as a luthier whose initials M.T. 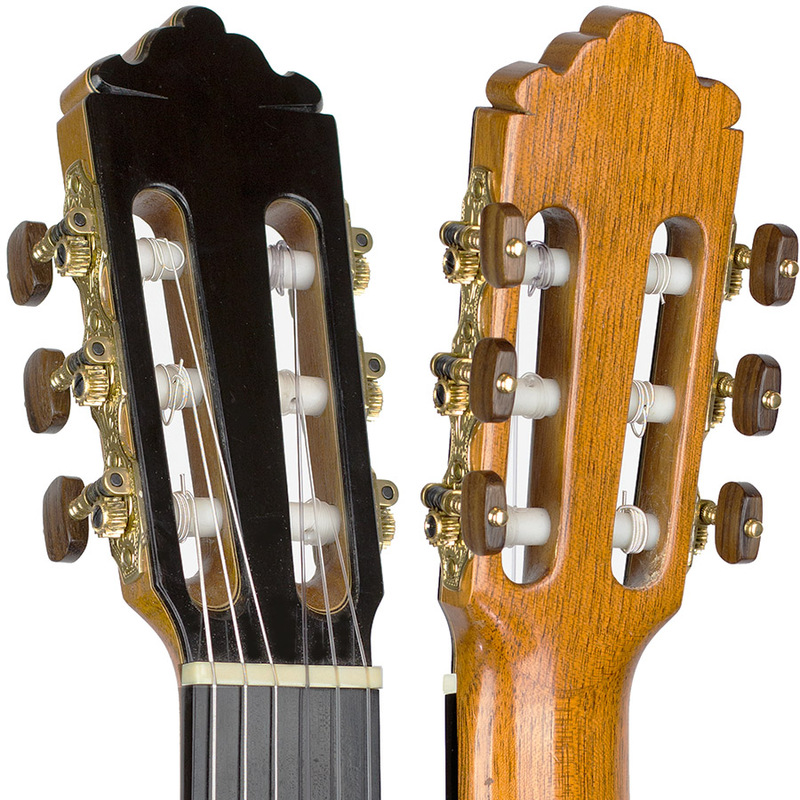 are found stamped inside some of the best Ramirez guitars of the 60s and 70s. 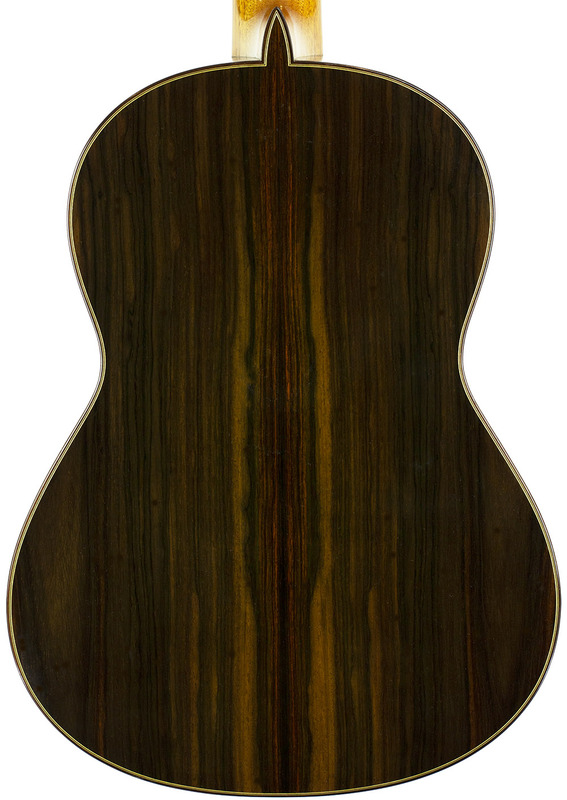 This guitar comes from the son of the same name. 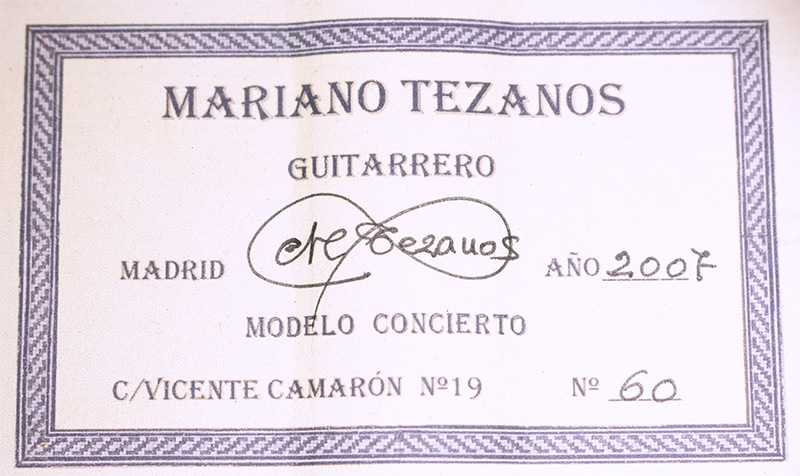 Mariano Tezanos, Jr. worked in the shop of Teodoro Perez for years, eventually making his own memorable line. 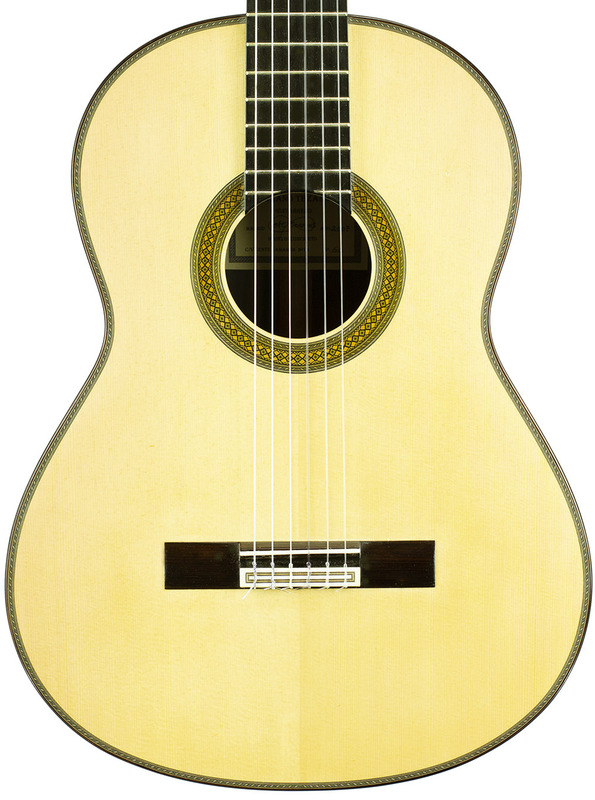 This classical sound is crisp, clear and unique.